Are you looking for new challenges? Switching to another skate discipline has never been easier. TRINITY isn´t just the best performing mounting system for inline skates, it`s also compatible with ALL models across our range, so with a single Powerslide Trinity mounting boot you can enjoy all segments of skating at any time. Simply change the frames and you´re ready for anything – fitness, speed, urban, off road, hockey or even ice - TRINITY offers the biggest selection of frames. The Powerslide Outback 150 is the most powerful SUV frame setup in the collection made for extreme use like downhill slopes or BMX trails. But you don´t have to be an adrenaline junkie to skate the Outback. This frame is also suitable for an exhausting endurance full body workout. TRINITY also offers the well known X-slot mounting system which allows you to customize your boot-frame position by shifting the frame from both side to side plus forwards and backwards. 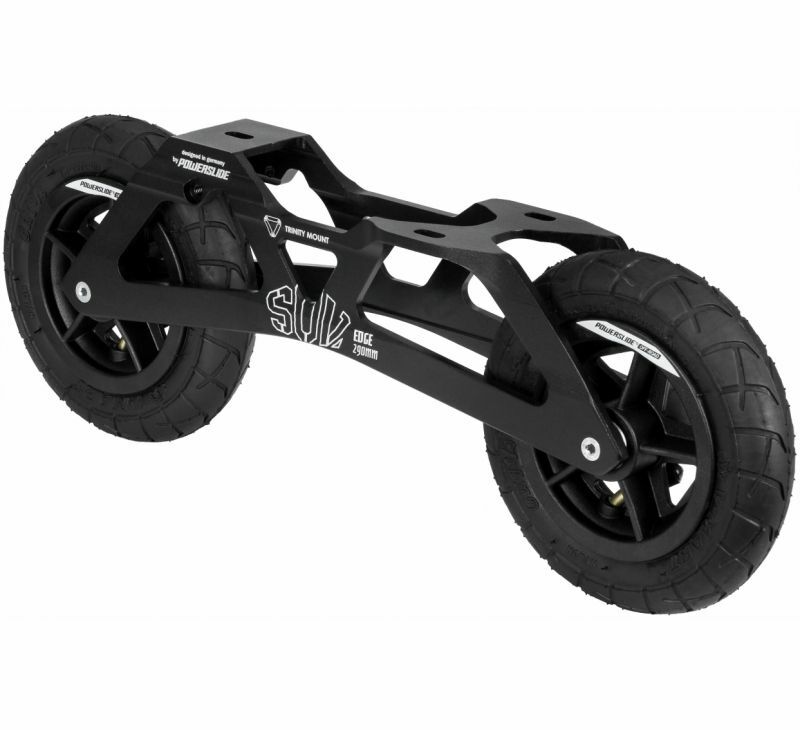 The indestructible Outback frame with its three point mounting and the large 150mm tires is perfectly suited to SUV skating. Besides enhanced power transfer and reactivity the Outback SUV frame scores with a super low center of gravity which provides perfect balance, stability and control.